Family and friends may urge you to purchase a house. You might have been thinking about making the transition from renting to owning your very own home for a while. But, have you really thought about why you should buy a home? There are a lot of reasons to make the transition from renter to home-owner. Here are a few reasons to help convince you that you should purchase a home. One great reason to buy a home is you can make sure that you live somewhere where you feel invested in the neighborhood. When you own your home, you are likely to stay in a community for a while, and will not be as likely to move as quickly as you might if you were renting. This means you can become a part of the community. You can join neighborhood groups and organizations and become a part of a community. When you own a home, you also feel pride in your home. It is something you worked for and saved for, and now it belongs to you and your family. When you own a home, you can work in your garden, make alterations to your home, and feel that your work is accomplishing something for you, rather than your landlord. 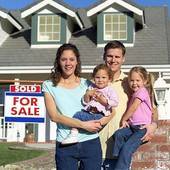 Owning your own home also gives a sense of stability to your family. Your children can often benefit from home ownership, because they know they have a place to come home. By being part of a community and owning your own home, you are helping to ensure that your children grow up happier. Buying a home can have other benefits as well. By purchasing a home, you can often have access to tax deductions. You are able to claim property tax deductions when doing your taxes if you are a first time home buyer. First time home buyers can claim all of their property taxes and have that be tax deductible. You can also deduce your mortgage interest on your taxes as long as your mortgage balance is smaller than the price of your home. There are many reasons it is good to purchase a home, so if you are debating whether or not you should buy a home, or consider renting, hopefully some of these reasons will help you make your decision.